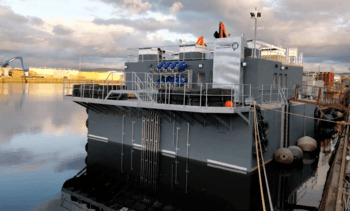 The Scottish Salmon Company has launched a new 400-tonne capacity SeaMate feed barge/office at Portree, Skye, following a 2,000-tonne increase in biomass allowance earlier this year. 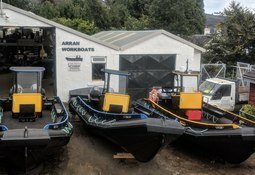 The Scottish Salmon Company has ordered six new workboats from a family-run business based on Arran. 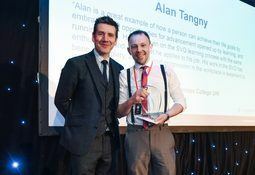 Four people with connections to Scottish aquaculture will be in the frame for accolades at the finals of the Lantra Scotland Land-based and Aquaculture Learner of the Year Awards tonight. 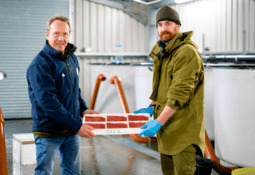 The Scottish Salmon Company has reported record full-year revenue and operating profit (EBITDA) for 2018 as a whole and the fourth quarter of last year. 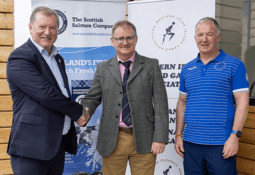 The Scottish Salmon Company (SSC) has helped launch a new restocking project on Mull as part of an ongoing commitment to working collaboratively with wild fisheries. 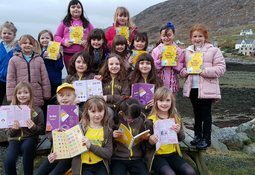 The Scottish Salmon Company (SSC) is to continue sponsoring the Western Isles Island Games Association (WIIGA) for the fifth consecutive year as around 40 athletes prepare to travel to Gibraltar for the 2019 International Island Games. 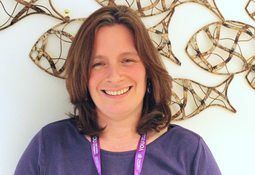 The number of facilities covered by the Best Aquaculture Practices (BAP) third-party certification programme increased 29% last year. 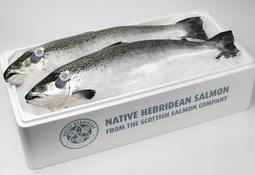 The Scottish Salmon Company is bidding to increase exports to the United States by making a debut visit to the Winter Fancy Food Show in San Francisco. 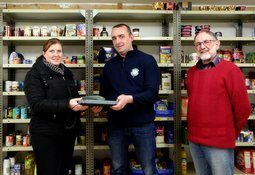 The Scottish Salmon Company (SSC) has supported the Uist and Barra Foodbank on Benbecula with two new sets of scales, following its latest round of Community Fund awards.